FLINT, MI - MARCH 06: General view of the State Capitol Building in Lansing, MI on March 6, 2016 in Lansing, MI. For years, efforts to curtail Michigan's high auto insurance premiums have resulted in legislative stalemates. 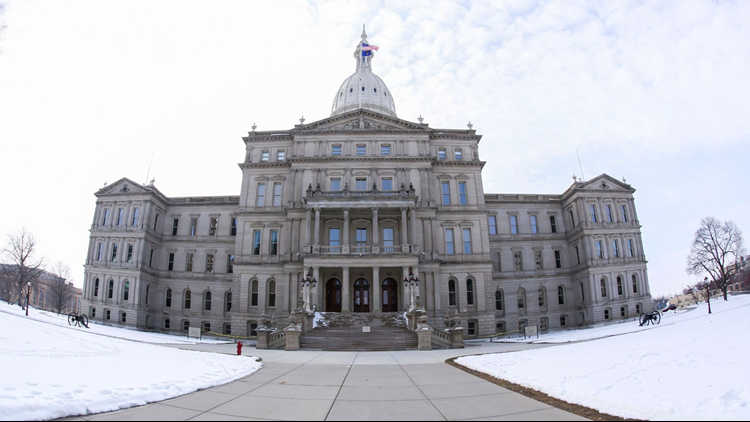 LANSING, Mich. — Republicans who control the Michigan Senate are making the reduction of auto insurance rates a top priority. The first bill introduced in the new two-year session could let older drivers use Medicare or other health insurance to cover their medical costs in an accident. Younger drivers could opt out of Michigan's mandatory unlimited medical coverage and choose less coverage. The legislation, which largely signals an intent to lower car insurance costs and leaves the specifics to be ironed out later, was proposed Tuesday. By making it the first bill, Republicans are signaling the importance of the issue.